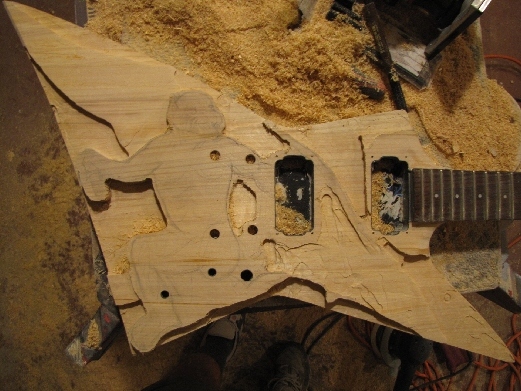 After looking at this guitar, I decided a gargoyle fit. These are pictures of the gothic inspired gargoyle. 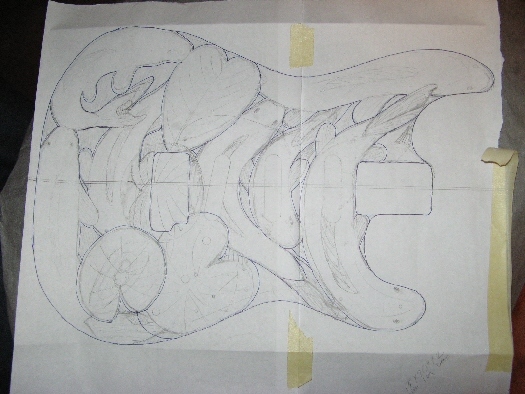 This is the rough sketch on the body. 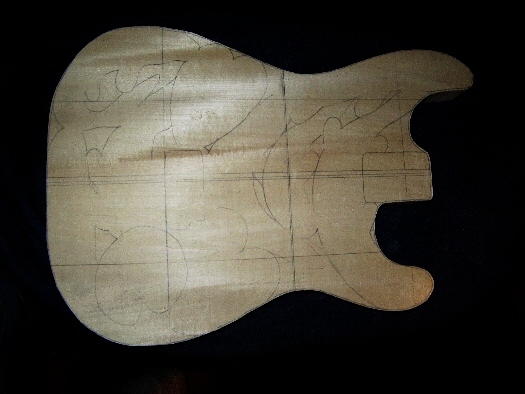 Here is the initial freehand router roughout. 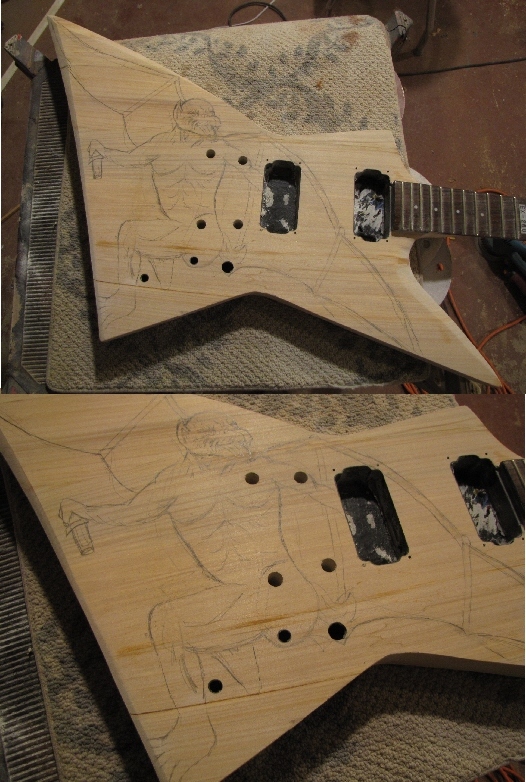 The drawing now applied to the body blank. 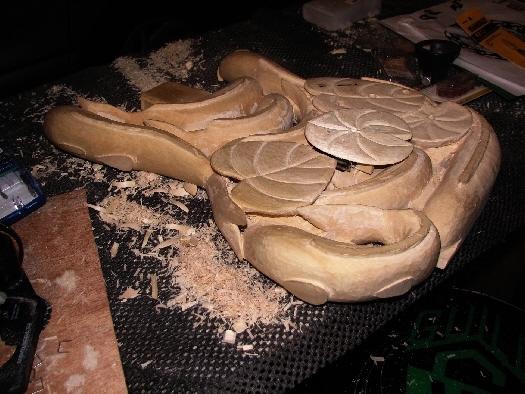 This is the start of the rough carving. 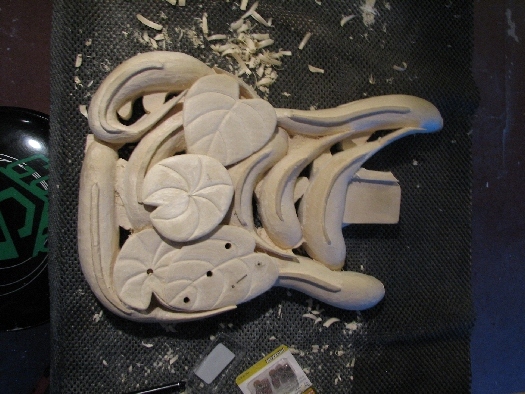 I use a number of hand and power tools to carve. Basically anything that will remove the wood. 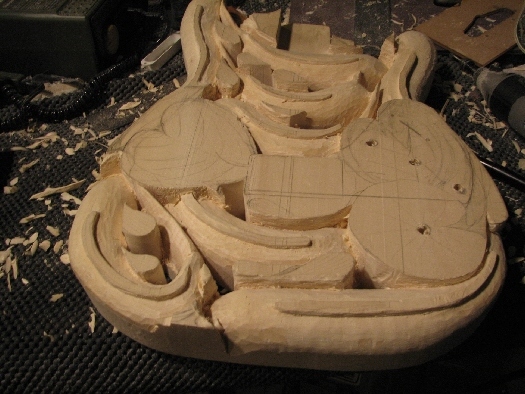 Moving along in the carving process. It keeps getting smoother and more defined. Sometimes even I like to get an idea what the finished product will look like. 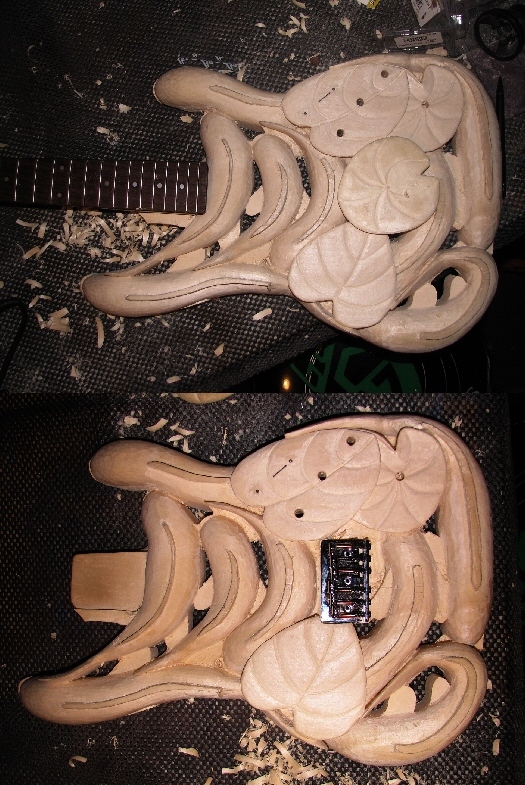 Even though it is a long way from finished, I attached a neck and a bridge just for that reason.